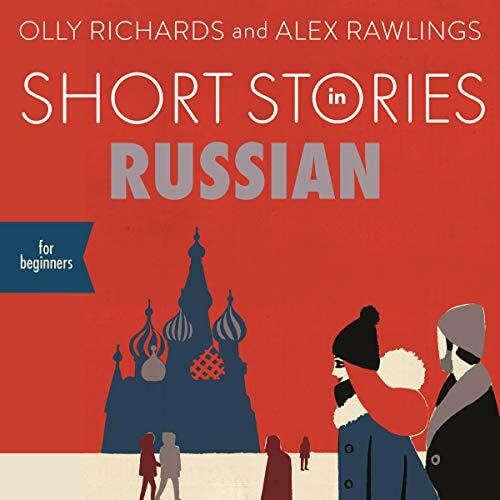 Short Stories in Russian for Beginners has been written especially for students from beginner to intermediate level, designed to give a sense of achievement, a feeling of progress and most importantly - enjoyment! Mapped to A2-B1 on the Common European Framework of Reference, these eight captivating stories are designed to give you a sense of achievement and a feeling of progress when listening. What does this book give you? Eight stories in a variety of exciting genres, from science fiction and crime to history and thriller - making the process fun while you learn a wide range of new vocabulary. Controlled language at your level, including the 1000 most frequent words, to help you progress confidently. Authentic spoken dialogues, to help you learn conversational expressions and improve your speaking ability. Accessible grammar so you learn new structures naturally, in a stress-free way. Comprehension questions to aid your understanding. As a result, you will be able to focus on enjoying the stories, delighting in your improved range of vocabulary and grasp of the language, without ever feeling overwhelmed or frustrated. From science fiction to fantasy, to crime and thrillers, Short Stories in Russian for Beginners will make learning Russian easy and enjoyable. I read it alongside the Kindle book to get the most out of it. I read a chapter then listened to it. The stories are short and fun - like the kind I used to read as a youngster. It gives a real sense of accomplishment to read the stories (which I’m better at) and then get most of it when you hear it too (which I need to work at). Great collection, I hope Olly (and other authors like Ignaty Dyakov) come out with more dual book+audio works. They really do a great job.